my fave way is to go out to eat with NO KIDS! 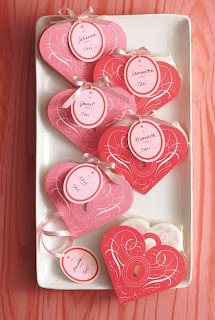 What are you going to make for your Valentine? Roo and Jasper and I are going to gussy up lollipops with some fancy heart die cuts and punches we received from Martha Stewart Crafts and they've given us enough to share! 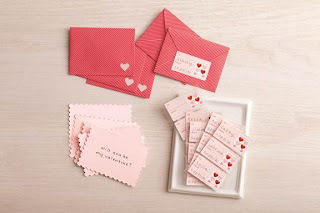 To enter and win a Martha Stewart Crafts Valentine's Day assortment (including Felt Heart And Lace Die cuts, Lace Heart Edge Punch, Key And Heart Chipboard die cuts), please comment on this post with your favorite way to remember Valentine's Day. Entries will be accepted through February 16th (yes, I know it's after V-Day but you can use these to craft after the fact!) and I'll pick the winner using Random.org. US readers are eligible. My favorite way to remember Valentine's Day is with a printed greeting card :) *Thanks* for the giveaway! i like to remember valentines day by having a countdown! My favorite way to remember V Day is by seeing conversation hearts at the grocery store!! i send cards to all the special people in my life! The best way to remember Valentines is with chocolates. I like to celebrate valentine's day by making a nice treat for my husband. Then cuddling. 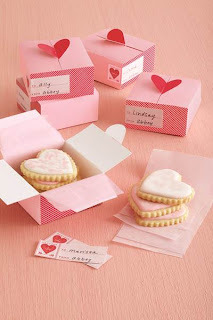 My favorite Valentine's Day memory is making Valentine boxes in grades school out of shoeboxes. 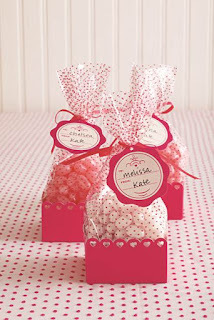 I love Martha's kits and craft things, especially when they're on sale after the holiday. I like to make paper valentines and send them to all the kiddos in our lives. In fact, that's what Soren and I are doing today. My favorite way to remember Valentine's Day is to surprise my kids with heart shaped pancakes and fun heart-crafts. Loading up on chocolate--best way to remember V-day! I like to celebrate Valentine's with everything hearts... decorations, food, treats, etc. I like Superdumb Supervillain on facebook as Wendy R.
My fave way of remembering Valentine's Day is purchasing a Valentine's Day card for that special man in my life.